In January 2019, the Port of Hueneme made history with the monumental signing of a major sister port agreement with Puerto Quetzal, the leading Guatemalan seaport, marking the first time a U.S. West Coast port executed such an agreement. The historic ceremony concludes the Port of Hueneme’s first ever trade mission to Guatemala, a mission celebrating mutual interests around trade and community. The Port delegation kicked off its visit fulfilling its humanitarian initiative to bring supplies to underprivileged school age children. The Port first learned of the need in Guatemala from El Lustrador Foundation President René Corado, who grew up in the Zona Tres community of Guatemala City, and now resides in Ventura County. Like the experience of Mr. Corado, the children in Zona Tres spend their mornings working in the local trash dump to collect what they can to trade for food and necessities. Today, these children have the opportunity to attend school and receive the chance of a brighter future. 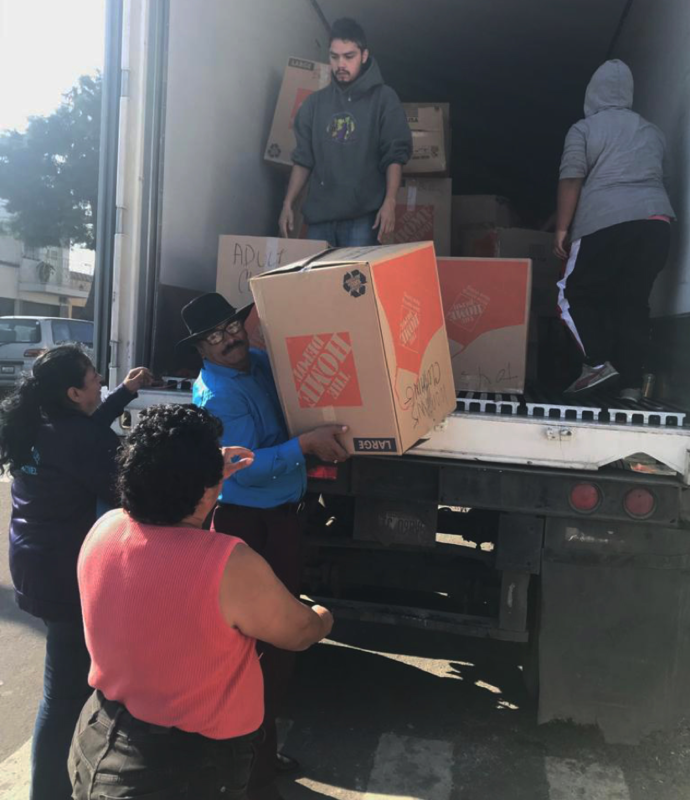 Since September, the Port rallied with the local community to fill a 40-foot Chiquita shipping container with clothing, school supplies, shoes, and toys. Oxnard local schools helped the cause sorting and packing the container. 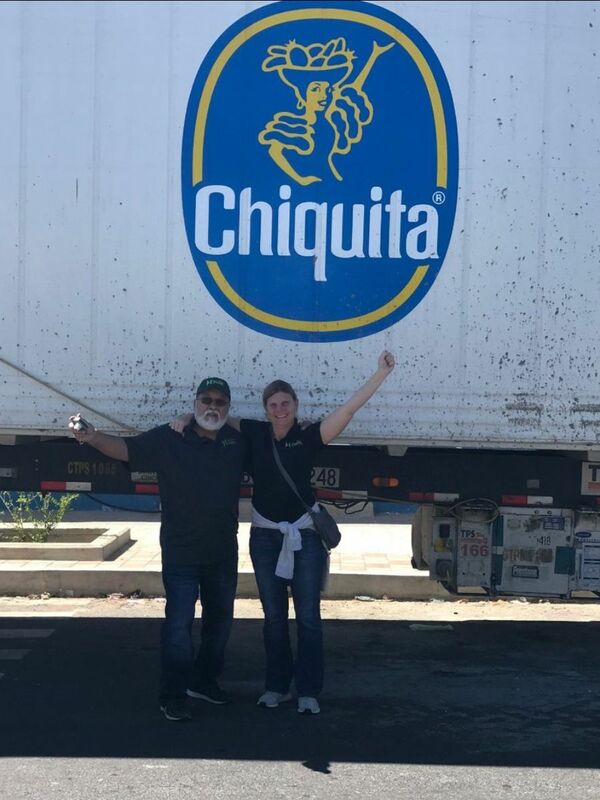 The ILWU Local 46 also joined forces with the Port as an important partner, helping organize donations and provide the labor to load the container onto Chiquita’s vessel. 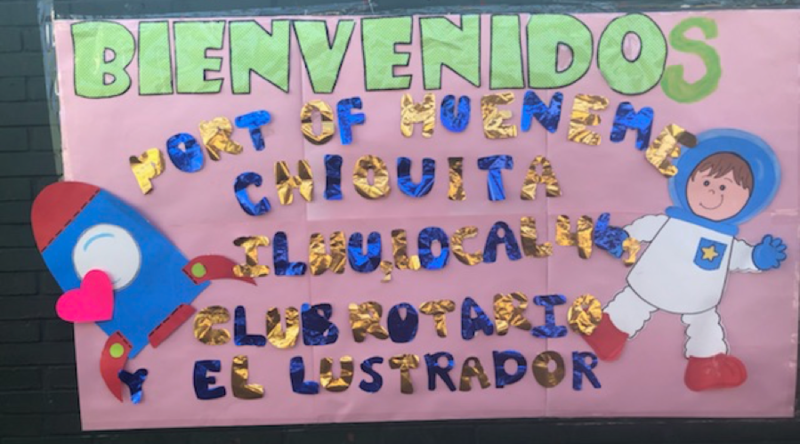 The teachers and children of the Manuel Marcos Martinez School #46 located in the Zona Tres neighborhood of Guatemala City, received this container with great joy and appreciation. This school is one of the most underserved communities in the entire country. 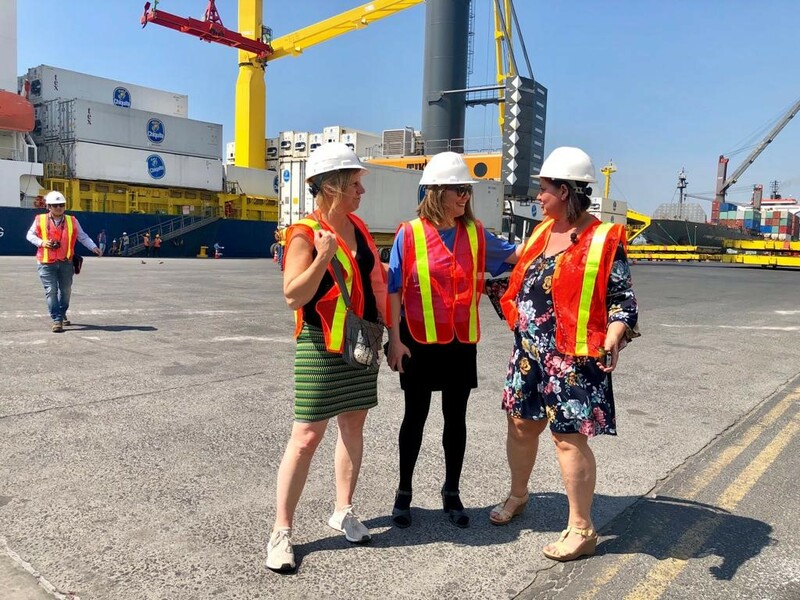 Throughout the week, the Port team invested much time in discussing opportunities for increased trade and partnerships with existing Port customers including Chiquita, Del Monte, One Banana Company, and SeaLand – a Maersk Company; who all have operations in Guatemala. 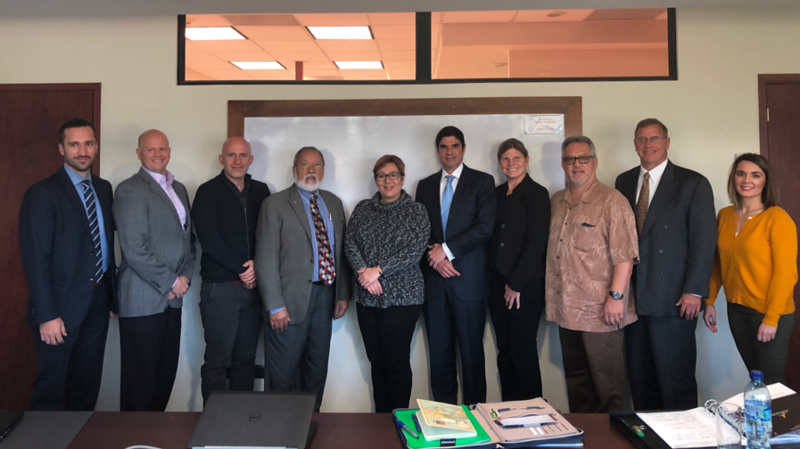 In addition, the Port met with exporters and shipper associations to promote Hueneme as the Port of choice for new business supporting Ventura County’s agricultural and general cargo exports along with Guatemala mango, coffee, and agricultural imports. 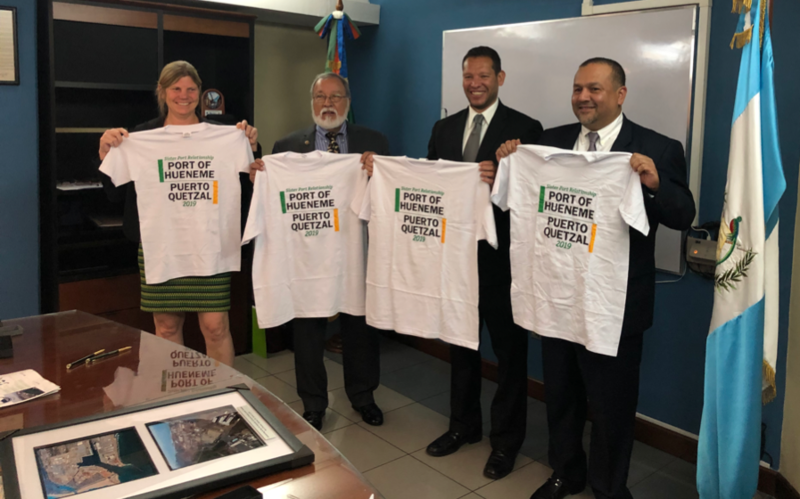 Government officials including representatives from the U.S. Embassy, USDA, and Guatemalan Department of Education also welcomed the delegation and engaged in strategic business meetings. The trade mission concluded today with the signing ceremony of the sister port agreement between the Port of Hueneme and the Port of Quetzal. The leadership of both ports officially signed the Joint Resolution committing them to work together on strengthening their trade relationship and sharing best practices in the areas of environment, innovation, security, and efficiency in port operations. Guatemala serves as the Port of Hueneme’s top trading partner by volume with over 345,886 U.S. cargo tons annually. Bananas and fresh fruit imports coupled with the exports of locally grown fruit and other U.S. meat, potato and cheese products. During the ceremony, the Board and Administrators of Empresa Portuario Quetzal expressed that they are pleased to sign the Joint Resolution, and that they look forward to building a strong relationship with the Port of Hueneme. 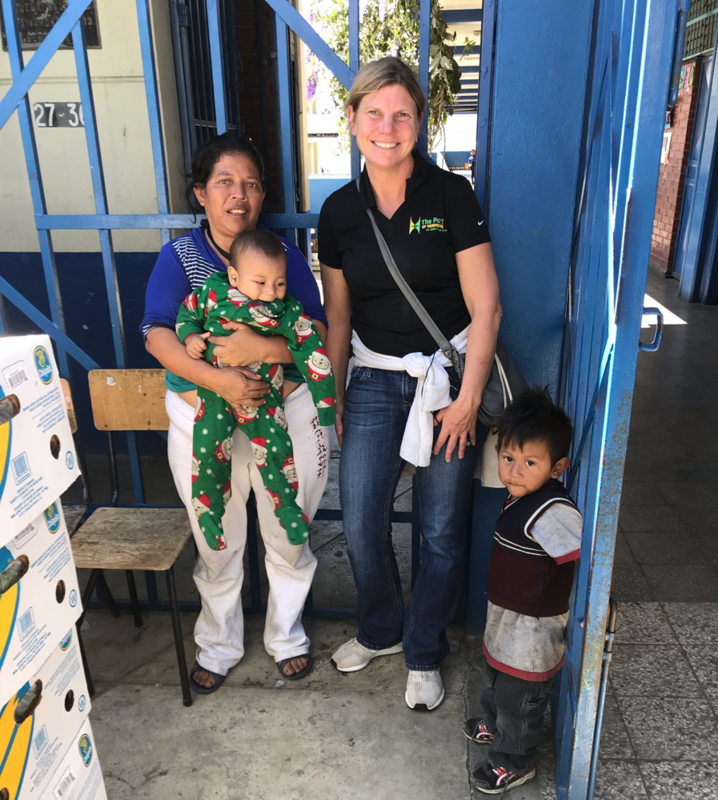 CEO & Port Director Kristin Decas stated, “Guatemala is one of our top trading partners, with millions of bananas being imported from the country’s farms to our Port each year. Establishing a sister port relationship with the Port of Quetzal is the next step in opening doors of trade, sharing best practices in logistics and environmental sustainability, and building upon our relationship for the betterment of our port communities.” The Port of Quetzal is the third international port to establish a sister port relationship with Hueneme. The Port of Bolivar, Ecuador and the Port of Ensenada, Mexico formalized their friendships with Hueneme in 2015 and 2014. You can view an interactive map and additional photos of the Port team’s journey by clicking here.